Elmhurst College has launched a new Digital Media Program that will help students thrive in the rapidly growing media landscape of the 21st century. The program, which is accepting students for this fall, features three undergraduate majors: digital media, multimedia journalism and digital marketing communication. The program also offers minors in those three disciplines, as well as a minor in film studies. “Working in film, television, animation, game design or screenwriting is not the ‘long shot’ it used to be,” said Kristyn Jo Benedyk, associate professor of digital media and director of the digital media program. Video and digital storytelling have taken on an ever-increasing role in our lives, from our phones to our living rooms to the ads we see in airports and shopping malls. They have become equally pervasive in the workplace. Those who can create, produce and critically evaluate digital media at a high level stand to gain a strong foothold in their careers. The Digital Media Program was designed to ready students to take advantage of such opportunities. It will teach them practical skills, such as using design and production software, while also expanding their knowledge of media ethics, theory and history. Within the digital media major, students can focus on one of three areas: digital audio and video production, digital animation and game design, and writing for film and television. The multimedia journalism major integrates new platforms for digital storytelling with traditional instruction of reporting, interviewing techniques, media law and ethics. The digital marketing communication major provides students with a thorough education in integrated marketing campaigns across traditional, digital, mobile and social media channels. All of the degree paths promote a hands-on, experience-driven approach to learning, including the development of professional portfolios that can be used to pursue jobs in a wide and expanding range of careers. Elmhurst’s proximity to Chicago’s thriving film, television, gaming and advertising industries opens up a world of opportunities for graduates. 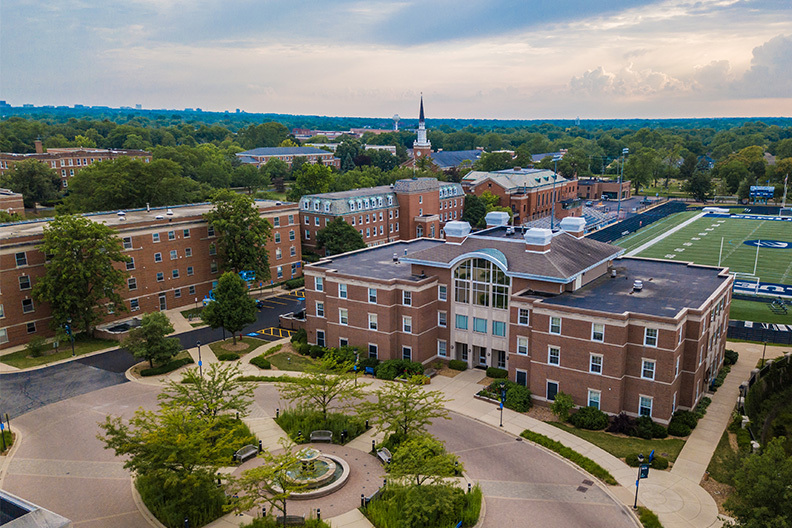 Elmhurst College will accept its first class of digital media, multimedia journalism and digital marketing communication majors this fall. For more information, contact the Office of Admission at (630) 617-3400 or admit@elmhurst.edu.